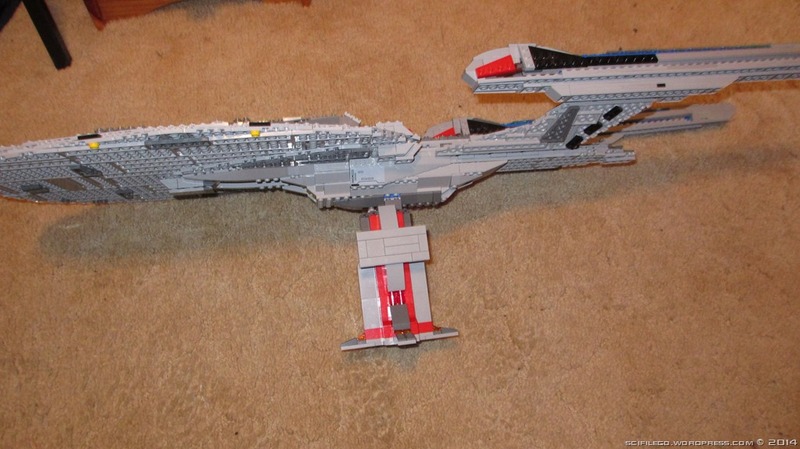 Here are some photos of my Enterprise-E from Star Trek: First Contact. 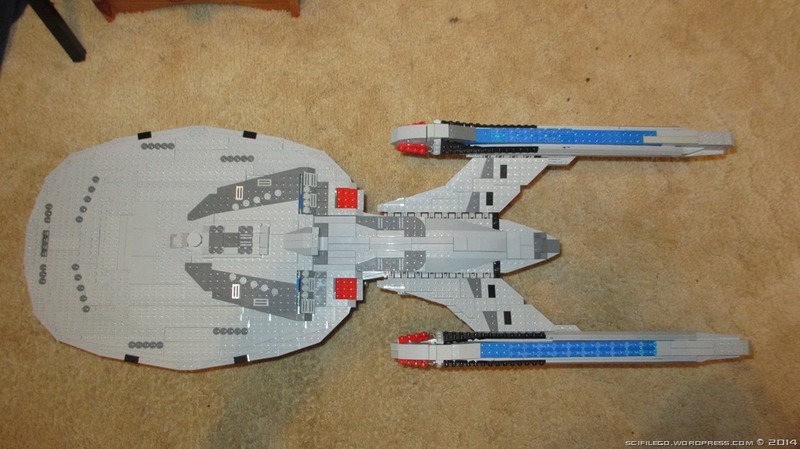 I am basing it off the Diamond Select Toys model starship. 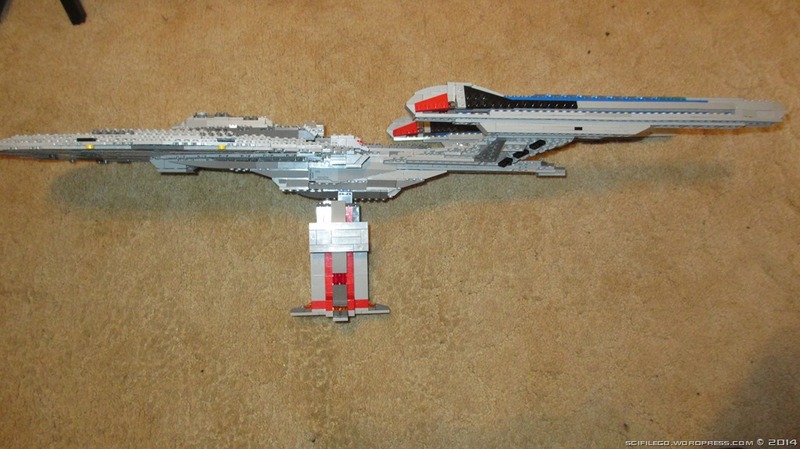 The model will be the same size as my Pegasus model. It’s still a work in progress and is about 80% complete. I am interested in any suggestions anyone has to offer. After the model is completed, I am considering adding in a drydock (similar to the end of Star Trek: Nemesis). Have you thought about submitting these to https://ideas.lego.com ? 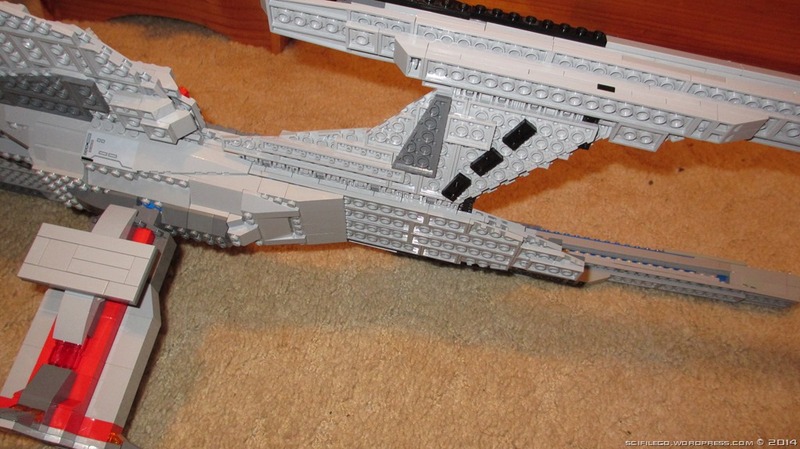 I would kill for a StarTrek from Lego! And a BSG kit! I only recently turned 18, so I have been below the age in which I could submit. Now certainly I may submit something in future! However, as I understand it Lego does not have the copyright to make Star Trek products 😦 BSG may be a possibility after the new movie!! I know how you feel, I would love Star TRek or BSG sets! 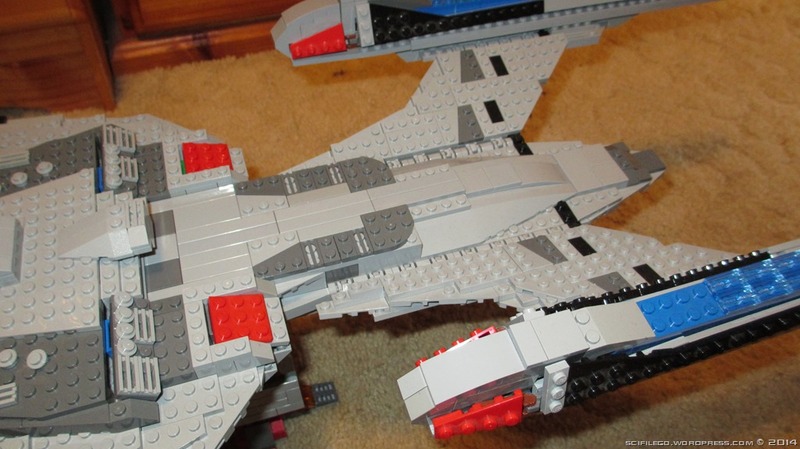 Welcome to scifilego.wordpress.com! This is where I showcase my Lego creations and provide commentary on what I build and how I built it. The site is also designed to act as a resource for Lego builders, with advice and tips to help you build! To access this resource check out the pages on the top section of the menu. I welcome and value any feedback and comments! To find out more about me and the blog, check out the 'Who am I?' page. I can be contacted at chris.j.h.chris@gmail.com. Enjoy!